Four letters than mean so much, the word Love is the sweetest sentiment. Finished in a vintage duck egg blue colour. This would make a great gift idea for someone special, Valentine's Day or Mother's Day. Perfect for use as a paperweight of just for decorative effect. Four letters than mean so much, the word Love is the sweetest sentiment. Finished in a vintage duck egg blue colour. This would make a great gift idea for someone special, Valentine's Day or Mother's Day. Perfect for use as a paperweight of just for decorative effect. 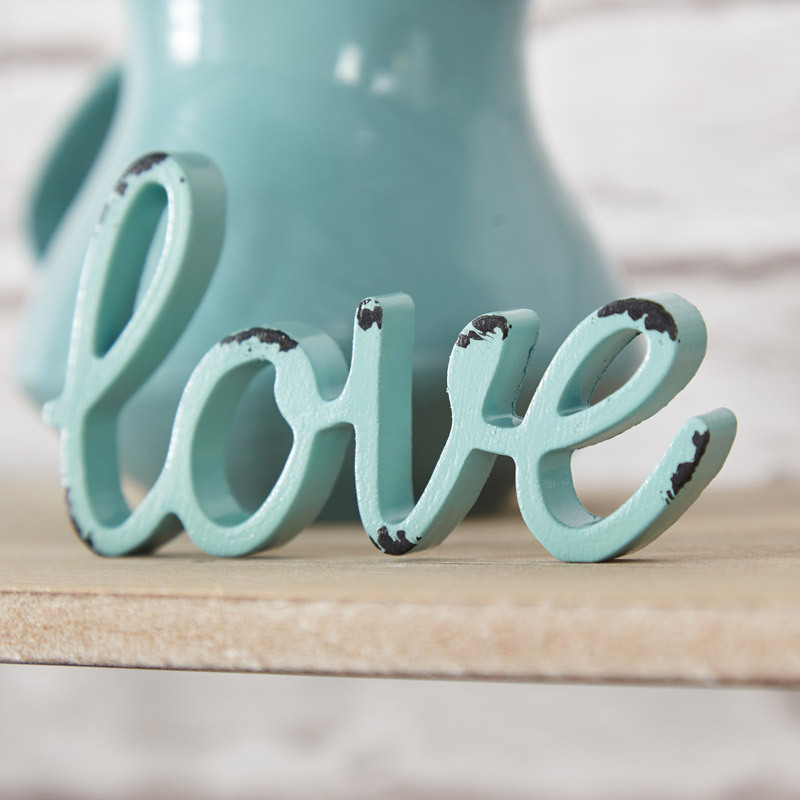 Made from metal and painted in a distressed duck egg blue, freestanding design. 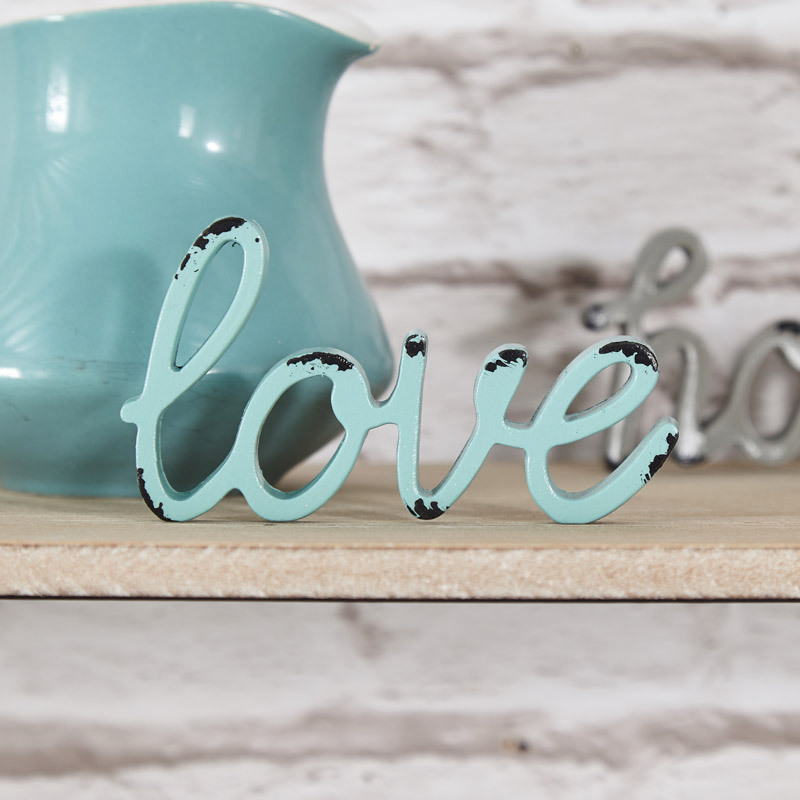 If you're looking for the perfect gift, have a browse through our huge range of gifts and accessories.